My name is Daan Tol – I’m an 34 year old Dutch online freelancer, with 7 years of WordPress experience. Am I a die hard WordPress coder? No. I’m a guy who has installed dozens of plugins and themes into many WordPress installs to check out new designs, functions, connections, SEO improvements, etc. etc. You can say that I have a bit a knack for finding cool plugins and nice themes. Why did I buy WPLift? I was looking to become more of an entrepreneur than a freelancer. This website gives me more freedom to make my own choices, instead of doing what my clients want. It is a large investment, not one without risks, but I’m in it for the long run and will do my utmost to make it succeed. Oli has created a great blog, and I feel it as my duty to maintain that quality. So here we go – as usual – the overview of the week for you guys. From a WordPress Professional to a WordPress Business Owner – Interview with Ryan Sullivan of WPSiteCare. The Tension of Refactoring Legacy Code, Part 1 – Tom talks about inheriting old code. Pippin Williamson: Ask Me Anything About Plugins – Pippin’s video talk on plugins from WordCamp San Diego. Remote Work: Is The Office Today Having an Identity Crisis? – About Automattic and remote working. Building a Unicorn – Interview with Matt, broken up into 10 sections. Should WordPress developers be taken more seriously? – Do development circles take WP developers seriously? The roadblocks to hosting partnerships – Chris talks about partnering with a hosting company for your product. How to Offer Stellar Plugin Support (Without a Huge Staff) – Tips for customer support for your plugin. WordPress developer’s intro to Docker – Docker tutorial. Understanding The Concept Of Visibility In Object Oriented PHP – Tutorial about OOP in PHP. Easily Turn a WordPress Site Into a Desktop App – Using Electron to create a desktop app from your site. Everything You Need to Know About Using Yoast SEO for WordPress – A complete guide to the Yoast SEO plugin. A Complete Font Awesome WordPress Guide – Guide to using FontAwesome in WordPress. Create Your Own WordPress Page Builder Plugin From Scratch – Complete tutorial on creating a page builder. InTrigger Review – A Completely Free Conversion & Lead Generation WordPress Plugin – A nice free plugin for generating optins to your list. CDN77: How To Speed up Your WordPress Site with a Very User-friendly CDN – We reviewed a CDN service for WordPress. Free WordPress Themes for Startups, App Developers and SAAS Companies – A Collection of business style themes for startups. 30 of the Best Completely Free WooCommerce WordPress Themes for 2016 – Updated collection of the best Free themes for WooCommerce. The Best Free WordPress Plugins for Multi-Author Blogs – Plugins to make multi-author blogs run smoothly. Welcome Storefront 2.0: mobile design updates, typography refresh & more – Woo updated their Storefront theme. Congrats Daan. Much respect for taking a risk to do more of what you love. I was in a similar place a year ago, frustrated by how my clients always seemed to control my days. Oli, thanks for everything you’ve done to make WP Lift an incredible resource. I’m excited to see a fresh perspective. 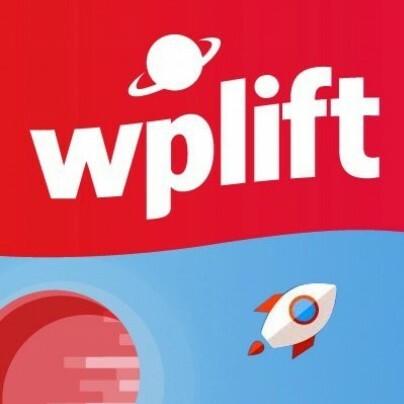 Congratulations Daan, you certainly have selected an excellent site to move forward with your plans and I’m already excited to see what you’ve planned for WPLift. Welkom Daan! We volgen het op de voet. Congrats both of you, Dan and Oli! I was there where you are right now, when you feel like getting into products and moving away from freelancing for a bit. Anywho, looking forward to what WPLift has to offer in the near future. Great choice and much success on your new journey. I enjoy reading the posts here, and I’m sure I’ll continue to do so in the future. Good luck! Thanks everyone for a warm welcome! Hey Daan, congratulations for the great decision, I felt your words about having freedom to do your business, I’ve been there! Wellcome. I am excited to see what’s you next steps are. Thanks, I’m glad you enjoy WPLift! All the best with WP Lift, looking forward to seeing what is to come. I am very happy to visit here to find some reference about how to make better wordpress. I'm just learning as wesite flipper. And I also really want to be frelancer the best for my client. Please share your experience as a freelancer here Daan, I think it would be very useful for many people. Very appropriate decision because you have bought this website, you are very fit to win the great battle. Congratulations and many years! You’ve certainly hit the ground running with this first post. I’m looking forward to leveraging your efforts for my profit and yours. Congratulations Daan! Looking forward to seeing what you have in store for the site! Wish you all the very best, Dan ! Great! Congratulations Daan! Looking forward to seeing what you have in store for the site!